Sugar Drop Shortcakes — Sugar Drop Inc. I grew up migrating around Texas most of my life and I remember almost making myself sick each strawberry season as I gobbled up buckets of berries the size of my hands. I have always loved strawberries, especially when they are paired with a tender shortcake and big dollop of cream. 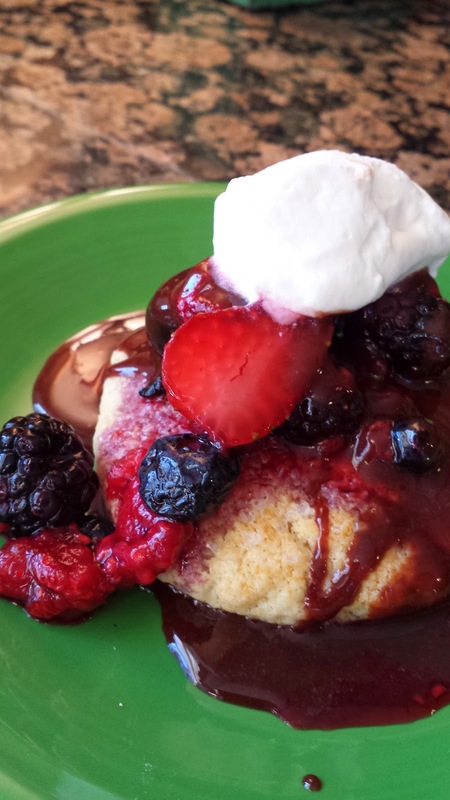 You can easily convert store bought biscuit mix into a quick fix shortcake but they don't compare to the tender flaky dough of a homemade version. This entire recipe is created in a food processor, so it is appealing to even the laziest of cooks. But, you can't forget the brushing of the cream and sprinkling of sugar crystals right at the end. That sends them over the top. I top these babies with anything from peaches to ice cream but my favorite has, and will always be strawberries, and a little chocolate gravy never hurt either. Place all of the above ingredients into the bowl of a large food processor and pulse until blended. 1/3 cup cold heavy cream, plus 2 Tbsp. Gently drop a few cubes in at a time to the processor and pulse 3-4 times. Repeat until you have added all of the cubes. Pour in the cream and egg and pulse just until the dough comes together. Dump out the dough onto a lightly flour surface and pat down unto an even rectangle that is about 3/4" thick. You want to touch the dough as little as possible to make sure that it maintains a light and flaky texture. Cut into 2x2 squares, or if you are feeling fancy you can use a mason jar to cut into circles. Place onto a lightly greased cookie sheet. Gently brush the tops of the shortcakes with the remaining cream and sprinkle with sugar crystals, available at your favorite cake supply shop. Bake at 350 degrees for around 14 minutes until set. If they get too golden they will be overcooked and not as delicate. These tender treasures are the perfect vessel for sticky and sweet seasonal berries.